A very inspiring talked conducted by Ar. Mumtazah binti Mustajab, who is an engaging architect in this special need architecture design and a mother to a young autistic child. 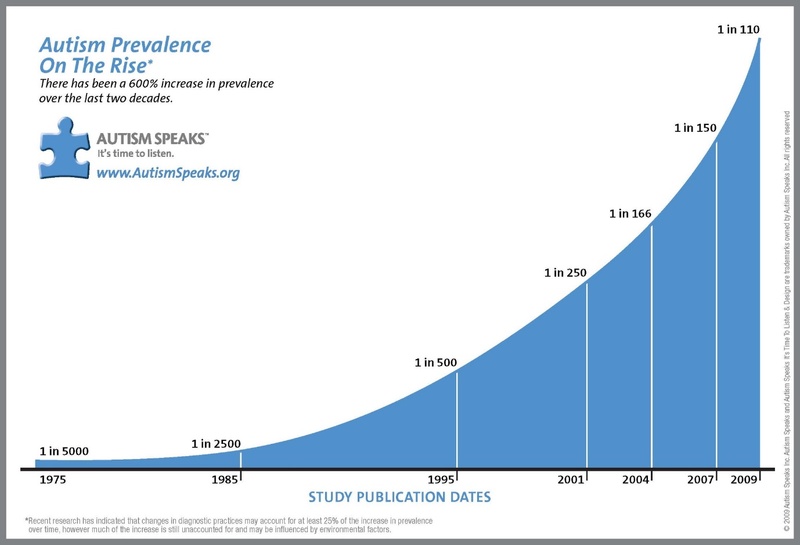 She mentioned that autism is a disorder that should not be overlooked due to the exponential growth in recent years. Unfortunately, Malaysia has yet to pick up the pace to deliver feasible solutions to this issue. Personally, I had encountered and engaged with some autistic people. They have the disorder that disables them to interact and carry out daily life routine independently. They need special care and intervention whereby they are taught with skills that enable them to live independently. However, in Malaysia, there are little awareness regarding this disorder and having such non-typical offspring resulted in family confusion, disagreement and even fight. There are several obvious symptoms that resemble an autistic person. If we encounter such person, do show more patience and understanding towards them. With such non-typical behaviors, there are special needs that have to be delivered when designing their home. There are a few highlights of design consideration which are the stimulants, the age group and also the therapies. 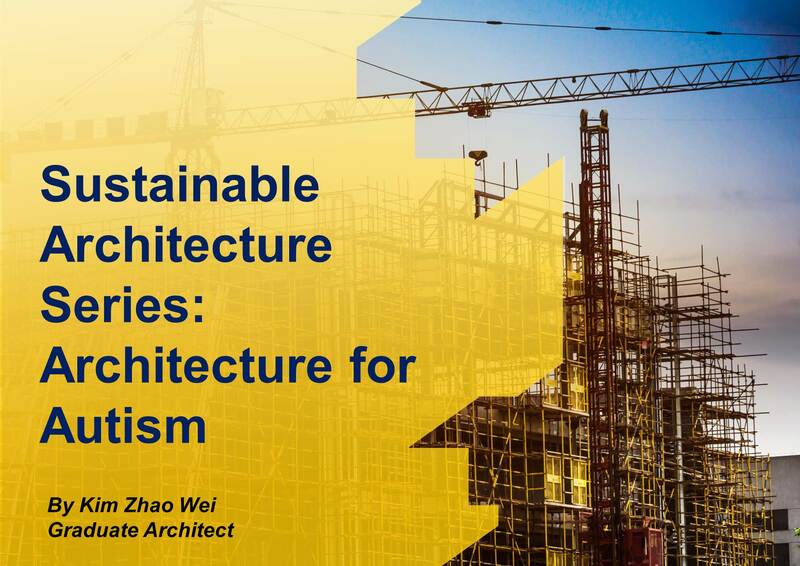 The stimulants should be taken seriously by the architect for the home of autistic. Environmental stimulants such as light, smell, noise and touch can be devastating if excessive (the scale at which most of the time is acceptable to the typical person) but will be helpful if they are trained to perceive and manage the stimulants. Lighting shall not be glaring and the slight flickering of lights should be avoided as this will affect their mood. The color decision also affects their performance like blue will bring calm and focus while red will bring out the energetic part of them. The visual infographic is also used to communicate with them better as some may not have good literacy. Smell and noise from the surrounding should be well controlled to enable them to focus in their learning environment. Textures of surrounding should also be emphasized and well thought as they need to be trained to perceive a different kind of touch sensation. Hard edged corner – during meltdown period (where they lose their control over emotion and react aggressively without conscious or having fit), soft edge and soft surface reduce casualty. Complicated coloring scheme or pattern scheme – they are visually sensitive and will be distracted (for hours) for an out of norm design pattern. Only use glaring colors on those items that desired for their attention. Horizontal elements – horizontal elements like glass louvers or railing pattern will enable them to climb. Without the sense of danger, this will directly threaten the safety of the autistic. Engage the child as a family (both father and mother). The child will be needing a complete family to grow and learn. There may be fights and disagreement between the spouse, but it should be done out of the child’s sight. Besides being a prevention of leaving scars and shadows within the child’s mind, the good behavior of parents (every part) will be mimicked by the child. Thus, the parents are as well as the mold of the child and what the child become is very dependable to the form of the parents provided. 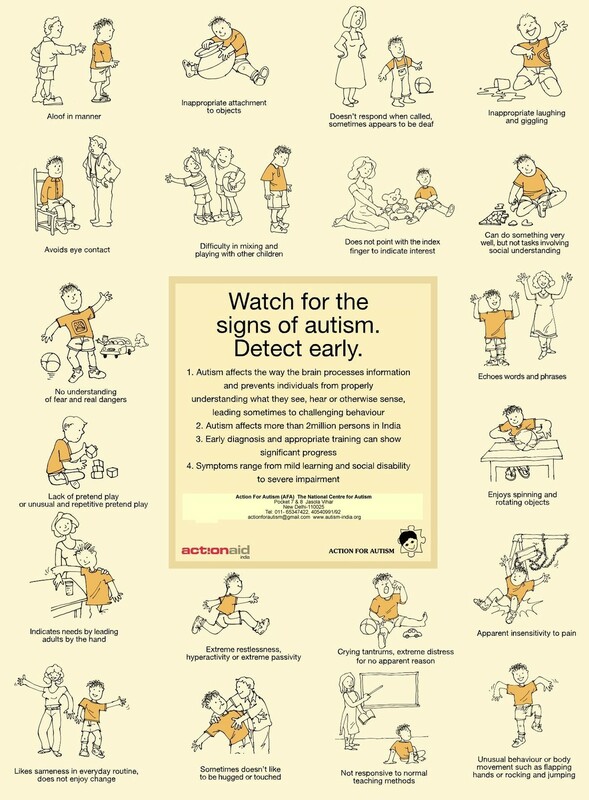 Always keep in mind to make the child ready to live independently (with minimal supervision). The child has to be equipped with basic skills to be independent. There will be a point whereby the parents will no longer capable of taking care of the child due to the cruelty of aging. With this impending reality, the parents need to slowly let go of their child and wish them the best. However, this is indeed very hard for the parents as our natural instinct is to love our child unconditionally. However, most of the parents in Malaysia had yet to achieve this level of mindset whereby they are willing to let their kids leave and live alone. This is due to the current condition of the country unable to provide a suitable environment for the autistic adult to live and be consistently supervise. Thus, this leads to low confidence towards the child to be able to survive in the harsh world and also the acceptance of the community. Regardless of that, the possibility of letting the autistic to be independent may be achievable to have a small community of autistic friendly residential with attached healthcare facilities, personal and also professionals that could help and facilitate the autistics to carry out daily life activities, without the constant need of their parents to be around. Nonetheless, this will be a long journey and large efforts have to be committed to enable such feat to take off and benefit the autistics. From this lecture, I had gained a lot of insight. I hope through this afterthought sharing, I could contribute to the raising of awareness about this amazing group of people, with hidden potential and yet awaits to be discovered as gems of the world.